"There's more than a hint of reality TV to this modern production of Shakespeare's hilarious comedy, directed by Fiona Laird at the Barbican for winter 2018/19. Down on his luck in the suburbs, Sir John Falstaff plans to hustle his way to a comfortable retirement by seducing the wives of two wealthy men. 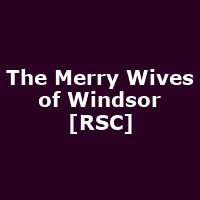 Unknown to him, it's the women of Windsor who really pull the strings, orchestrating his comeuppance amid a theatrical smorgasbord of petty rivalries, jealousies and over-inflated egos. For a fat Englishman, a Welshman and a Frenchman, the only way is Windsor ..."